There’s an unwritten rule in every industry that says “We all go to market the same way.” It’s a dumb rule and I’ve been preaching against it for 35 years. I wish I could say I wrote the book on the subject, but Marty Neumeier beat me to it. More on that in a moment. What’s so dumb about the “rule”? When everybody does everything basically the same way, nobody stands out. When potential customers see everyone as the same, they start to make commodity-based decisions. Price, availability, color. When companies sell at the commodity end of the spectrum, prices are lower, margins are smaller, and loyalty is essentially non-existent. Which rules can you break? All of them. Food Lion built a brand and transformed a small, family-owned grocery store into a multi-billion dollar enterprise by breaking the rules. Ironically, they did it by promising lower prices. In the 1970’s, Food Lion founder Ralph Ketner made two radical decisions that broke two unbreakable rules. First, he cut prices across the board. Rather than offer weekly specials, he promised LFPINC – Lowest Food Prices in North Carolina. Then Virginia, Tennessee, Georgia, South Carolina, etc. Second, he stopped advertising in the weekly newspaper inserts where all his competitors advertised. He put all his advertising in radio and TV and bombarded the market with the LFPINCVATNSC message. He made it easy for his customers to choose Food Lion. No clipping coupons, comparing ads, or digging through the Wednesday paper for deals. 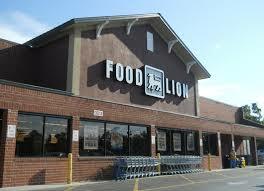 Today, Food Lion is less an innovator than a follower, but that’s another blog for another day. 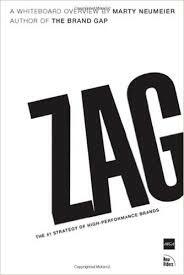 While everyone else is Zigging, ZAG. In his new book, Marty Neumeier says it perfectly. They Zig, you Zag. They go left, you go right. It’s almost as easy as that. Almost. To paraphrase your mother, don’t jump off the bridge just because everyone else isn’t. If they’re taking the bridge, you take the subway, or the boat, or the hot air balloon. As long as the path you take puts you in front of your customer with a relevant, problem-solving message, you’ll win. PS. Do read the book. Short read. Big impact.